The Cartier Tank Solo Steel collection is full of respectable looking timepieces. This large model, W5200003, for him, combines a historic look that still holds today’s fashion sense. 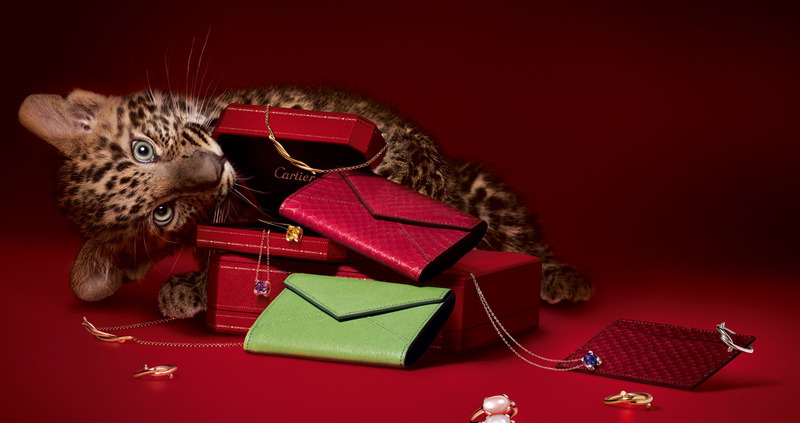 Cartier has been around since 1847, proving their long-time expertise in jewelry creations and fashion sense. Cartier is a name you can trust. This watch’s alligator strap has a steel double adjustable deployment buckle that makes it easy for customizing this timepiece to fit you nicely. Set in a steel case and steel circular-grained crown, this timepiece has a sharp style that is sure to please your eye. The Cartier Tank Solo Steel Watch comes with sapphire crystals and blue steel hands. Nothing says “class” like this watch. In the office, at home, out to dinner, this watch fits pretty much any occasion. Perfect for boat and other vacations, this watch is water resistant for up to 100 feet. The numbers are roman numerals –which looks quite classy. However, some people may not like that feature. My favorite thing about this watch is that you can order it with a complimentary engraving, which makes it perfect for an anniversary or father’s day gift. However, it is a bit expensive. This particular watch is listed at $2,500. 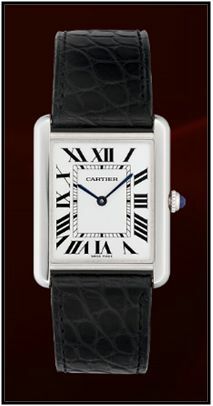 If you order this as a gift online at Cartier.com, they will gift wrap the watch for you, making your job even easier. I would have to say my favorite thing about this watch is the overall manly look. I can just imagine this watch looking very stylish on a dressed up man. This watch would be great for wearing to an important dinner, a lovely date, or even an interview. This watch is very versatile too, so it can be worn on regular outings such as trips into town, visits with the family, and even to work. I would not recommend this watch be worn while out in the outdoors if you are doing something rugged. However, it is made with steel and leather, so even if you do wear it during all of your extravaganzas, it should hold up due to the tough material it is made out of.